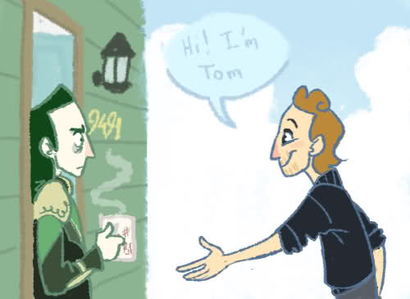 汤姆·希德勒斯顿 Funny 粉丝 fiction web comic "Loki and the loon"
In these hillarious fan fiction comics, Loki puts an ad on Craigslist looking for a roommate (to help pay for rent) and Tom Hiddleston is the only one who answered. They end up as roommates and wacky shenanigans ensue. The comic artist states that he finds lots of inspiration in Tom Hiddleston's interview concerning his role as Loki.